 A friendly first-opinion hospital based to the west of Chester are currently looking for a full time RVN to join their team. It is a full-time position with 1 in 4 weekends and no nights. Our client - a 3-site SA Practice based in South Cheshire - are looking for a Deputy Head Nurse to assist their current Head Nurse in managing the busy inpatient and surgical caseload. The current nurse team is comprised of 7 RVNs and 4 SVNs, which the successful candidate would be working alongside. Competitive salary on offer with pension and bonus scheme included. 5 weeks holiday per year. The position is made up of a 4 day week, no OOHs and 1:4 Weekends on rota (day off in lieu for working the weekend). Competitive salary on offer with great company benefits. 6 weeks annual leave. We require a veterinary surgeon with a proven experience to join a busy out-of-hours team at a practice in Chester, Cheshire. We are looking to recruit an experienced specialist in small animal Diagnostic Imaging to lead a imaging team in a brand new advanced imaging centre based in Chester. A great rota is on offer along with a competitive salary and benefits package. 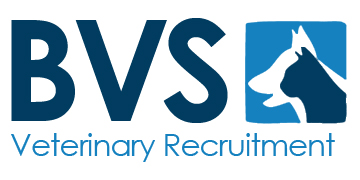 If you would like to know more information about this role, please send your CV to harry@bvsvets.co.uk. We are looking to recruit a specialist in small animal medical oncology to work alongside a fantastic team of internal medicine and surgery specialists at a busy referral Hospital in Chester. An independently run, 100% SA Practice is looking for an additional Vet to join them on a part-time basis, working Thursdays and Fridays. No OOHs or weekends included in the role. We are currently looking for an enthusiastic RVN at a purpose-built SA Practice in South Cheshire. It is a full-time position which is comprised of a 4 day a week with 1:3 weekends and no OOHs. Salary commensurate with experience. Generous CPD allowance. We have a new and exciting opportunity at a multi site for a dedicated veterinary surgeon, for an SA practice, based in and around Tameside and Manchester with great links to the city centre and the surrounding countryside. We have a great opportunity to recruit an experienced specialist in small animal Diagnostic Imaging to lead our imaging team in our brand new advanced imaging centre in the Chester area. We have a great opportunity to recruit a specialist in small animal medical oncology to work alongside a team of internal medicine and surgery specialists in the Chester area.